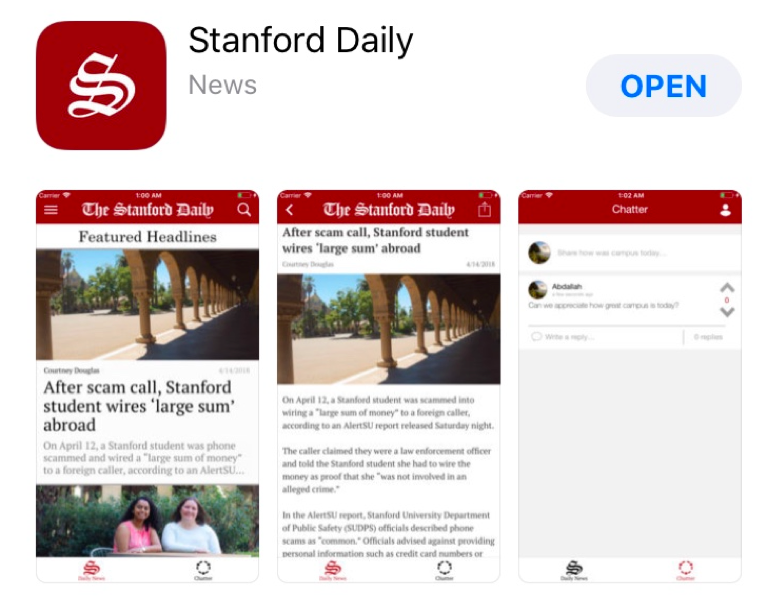 The Stanford Daily is an independent publication, meaning it is produced by a team of dedicated student journalists without University oversight. We cover the stories that matter to the Stanford and local community, providing everything from breaking news and in-depth reporting to commentary and sports updates. We distribute our print issues to 200 locations on campus and 700+ locations in the nearby community. But there are many other ways to get The Daily. Follow our channels and subscribe to our newsletters for the latest stories. Our email digest of top Stanford stories goes out every weekday morning at 6 a.m. Subscribers also get Leland’s Digest, our weekly campus rundown aimed at keeping you in the loop with our best content (look out for it on Mondays). Note: “html” is generally the best email format to select when you subscribe. Like our Facebook page, check us out on Instagram and follow @StanfordDaily on Twitter to get our stories in your newsfeeds. Our brand new mobile app is the best way to interact with our website on a phone. 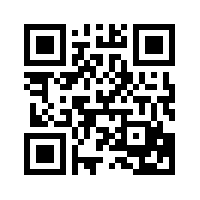 Search “The Stanford Daily” in the App Store, follow this link or scan the code below with your phone camera to download the app. The Daily puts out a Snapchat Discover story every Saturday. Search “The Stanford Daily” on Snapchat and subscribe for a fun weekly snapshot of campus life. Have feedback or questions? Email eic@stanforddaily.com.